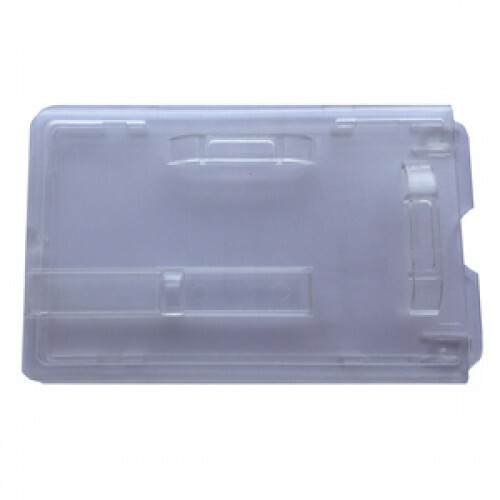 Pack of 100 clear rigid enclosed card holders with slider bar which enables easy removal of the card or badge. Suitable for use with a lanyard, clip, badge reel or necklace. Can be used in portrait or landscape format.